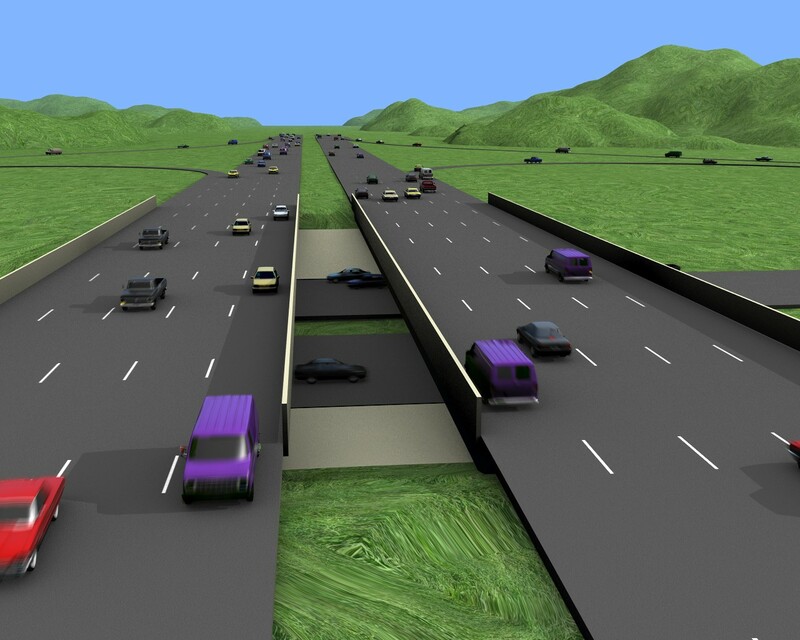 We present a novel concept, Virtualized Traffic, to reconstruct and visualize continuous traffic flows from discrete spatio-temporal data provided by traffic sensors or generated artificially to enhance a sense of immersion in a dynamic virtual world. Given the positions of each car at two recorded locations on a highway and the corresponding time instances, our approach can reconstruct the traffic flows (i.e. 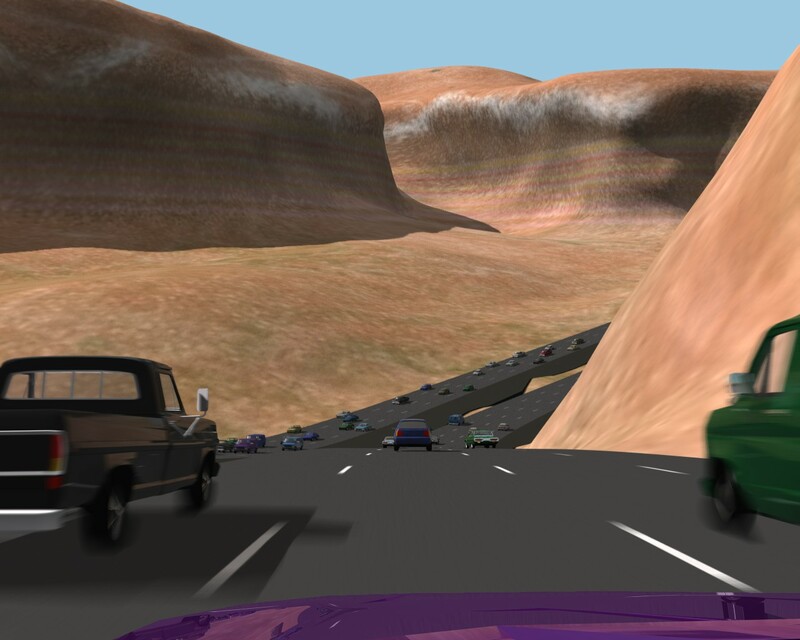 the dynamic motions of multiple cars over time) in between the two locations along the highway for immersive visualization of virtual cities or other environments. Our algorithm is applicable to high-density traffic on highways with an arbitrary number of lanes and takes into account the geometric, kinematic, and dynamic constraints on the cars. Our method reconstructs the car motion that automatically minimizes the number of lane changes, respects safety distance to other cars, and computes the acceleration necessary to obtain a smooth traffic flow subject to the given constraints. Furthermore, our framework can process a continuous stream of input data in real time, enabling the users to view virtualized traffic events in a virtual world as they occur. 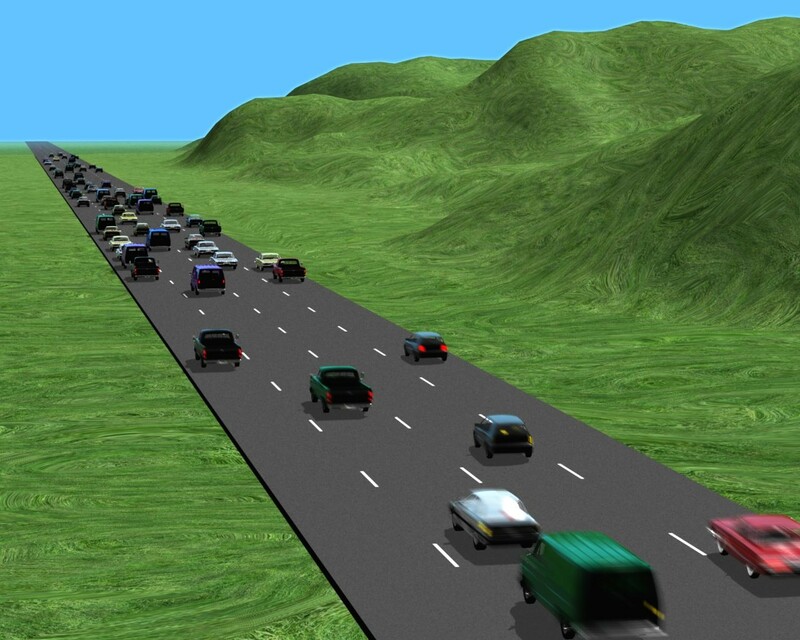 "Virtualized Traffic: Reconstructing Traffic Flows from Discrete Spatio-Temporal Data"
Proc. of IEEE VR, 2009.